“God could not be everywhere and therefore he made Mothers”. Mother signifies the very existence of her Child. I dedicate this post to two most wonderful women in my Life –Mom and Mom in Law. One who signifies my existence , supported and guided me to be ME and the other who signifies the very existence of the Love of my life(my hubby). Both have been my Pillar of strength till date. They have supported and encouraged me in all my endeavor. I realized the importance of Motherhood when I became mom to 2 handsome boys, without whom I cannot imagine a single day. I am glad to have celebrated this Mother’s day with my mom as she is with me,but I did miss my MIL who is far away but always in my heart. 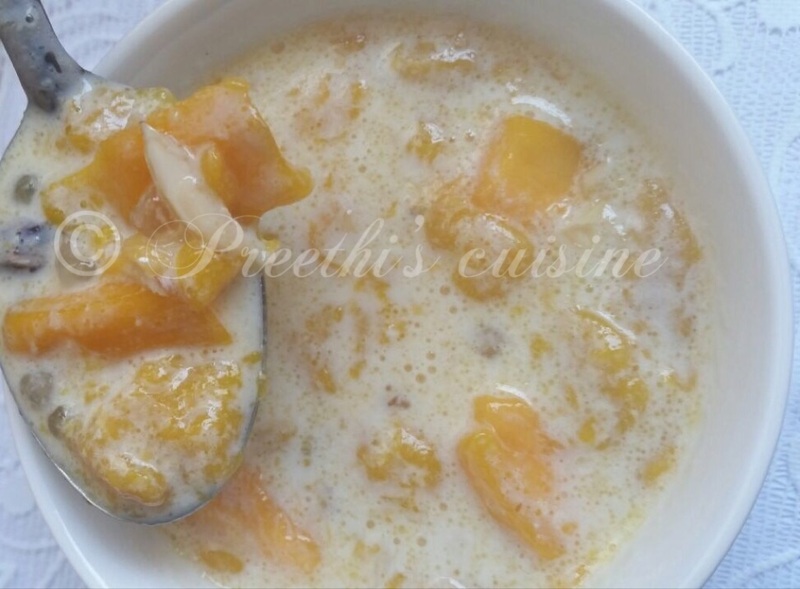 To celebrate this Mother’s day I made Mango Sabudana Kheer for my family. Soak Sago/ Sabudana in water for 2 hours. After 2 hours boil it in 600 ML of water. Mix well for 4 to 5 mins. Add sugar,boiled milk and milk maid and keep stirring on a low flame for 5 mins. Add Mango Puree, stir well and switch off the flame. Sprinkle some cardamom powder and mix well. 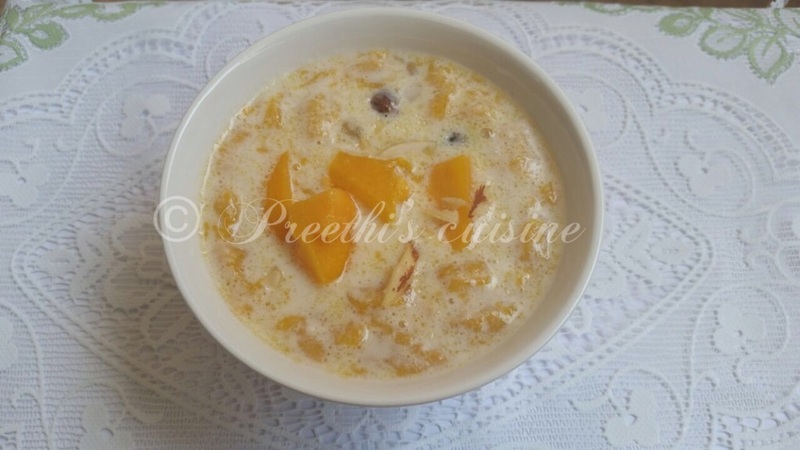 Refrigerate for an hour .Garnish with chopped Almonds , fresh Mango Pieces and Serve. Love the idea of adding mango to the sago pudding. It looks very delicious.